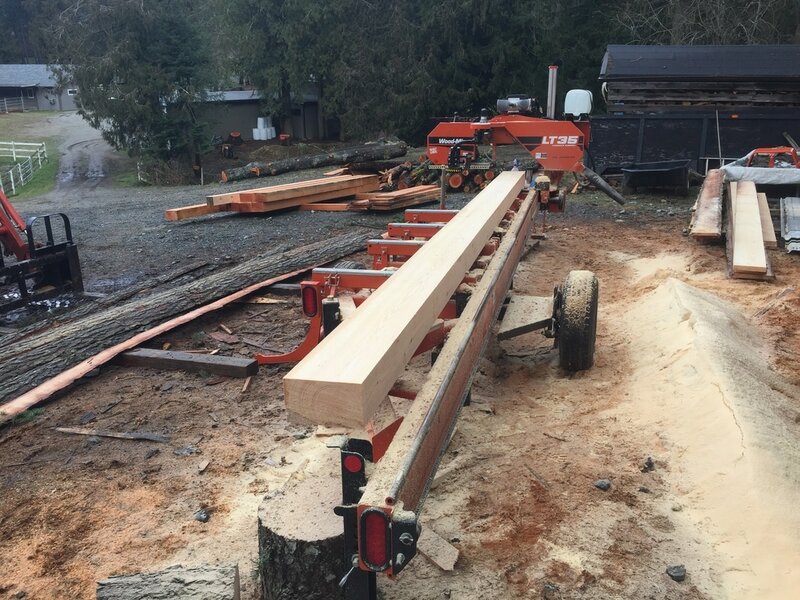 Our mission at Westcoast Custom Timber is to provide superior portable saw milling and re-purposing solutions for downed trees throughout Vancouver Island. It is our goal to work with you, our clients, to provide only the best quality products. We offer onsite advice before any job takes place to ensure that you get exactly what you're looking for. Your satisfaction is very important to us. When you hire Westcoast Custom Timber for on site saw milling we always ensure you end up with a cost effective quality product. Why transport logs multiple times? We can bring our equipment to your site, where they can be handled once. Saving you time and money but also greatly reducing the environmental carbon footprint by removing the need for trucking your logs many kilometers away. By re-purposing logs into usable materials, you are not only helping our environment, but are creating the opportunity to produce a quality home project. Whether you like to do it yourself or hire a professional builder, having custom lumber created to your specifications will produce endless possibilities.